Our move to the heart of Philadelphia enables us to embody our missional convictions by serving more people in our region, the northeast corridor, and the world. Philadelphia is strategically located between Washington D.C. and New York City, two of the most influential cities on the planet. Being in Philadelphia will allow us to more effectively serve as the hands and feet of Jesus. It is a city of culture, creativity, and community, and we want to join in where the Holy Spirit is moving among the vibrant churches and ministries of the city.  Our vision is to become Philadelphia’s seminary to prepare the next generation of servant-leaders. We will be moving to a new location in the Logan Square neighborhood. Our plan is to have all of our classes at the new location in Fall, 2019. This is a beautiful part of the city, strategically located halfway between City Hall and The Philadelphia Museum of Art. Other nearby cultural institutions include the Rodin Museum, the Barnes Foundation, the Franklin Institute, the Community College of Philadelphia, and the main branch of the Free Library of Philadelphia.